In a competitive industry, offering personalized, tailor-made adventures helps a travel agency stand out. Door to Door Travel & Tours founder and partner José M. Navarro Medina shares how his agency draws international travelers to Granada and Andalusia by offering exceptional customer experiences—starting with their doortodoor.travel website. Travel.Domains: What does your company do? How did it arise? 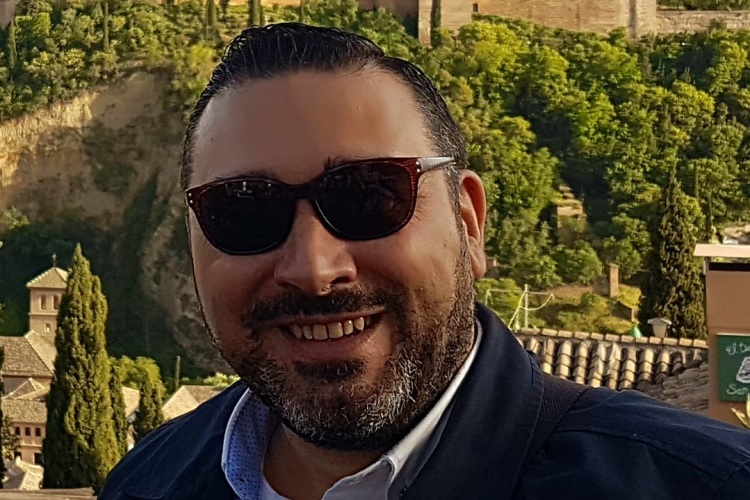 José M. Navarro Medina: Door to Door Travel & Tours was born as a travel agency in Granada specializing in tailor-made travel and corporate events. It arose from the initiative of our partners—lovers of Granada and Andalusia—and their desire to share our beautiful land and abundant history in a new way. We formed an agency that could provide the possibility of visiting our land in a different and very personal way. Our slogan “Discover, travel, enjoy.” is made up of the three words that define what we want to convey to all the travelers who choose us as a destination. Travel.Domains: Who is your target customer? Medina: Thanks to the wide range of tourism offered by Granada and Andalusia, our message is aimed at a national and international audience. As a specialized agency for tailor-made travel, our customers usually come to us seeking exclusivity, and this aspect is what differentiates us. We also have a parallel B2B offering for companies and private events, where we also focus on originality, personalization, and exclusivity. Travel.Domains: How has the public reception been? Medina: So far, we’ve raised significant interest, both from individuals and companies. As a relatively new business, we’re proud of the welcome we’ve received, which is reflected in a considerable number of reservations and requests for information. Travel.Domains: What is your business philosophy and model? Medina: As we mentioned before, our business model centers around the exclusivity, originality, and personalization that we put into everything we offer. Our philosophy is that we love and believe in our work, we create emotional bonds on a daily basis, and provide our clients with recommendations, ideas, and experiences in an ethical and professional manner. Our main desire is that our customers share our values when traveling—that they love nature and protect the environment, respect the different cultures, local laws and traditions, and above all, respect human rights, regardless of their gender, sexual identity, skin color, origin, ideology, or religion. Travel.Domains: What is the ultimate goal you are pursuing? Medina: To introduce our land and reveal our culture to the whole world, but in a different and original way based fundamentally on history, traditions, gastronomy, and a current search for new experiences in a changing environment. We hope that the humility of our agency can contribute in any way to foster passion for getting to know Andalusia. Travel.Domains: What makes you different? Medina: We seek to promote all the quality tourist services offered by this region. Working alongside partners with considerable prestige and professionalism, each trip is a result of creativity, innovation, practical knowledge, skills, and daily work. Our difference lies in our brand, which is a true reflection of the agency’s personalized attention, uniqueness, and professional knowledge of each place we take our clients. Travel.Domains: And what about the services you offer? Medina: We offer a wide range of experiences such as tours, luxury experiences, sports, events, meetings, corporate events, and more. All of them can be done in private or as a group, range from one day to weekly circuits in different destinations within Granada and Andalusia. Travel.Domains: How did you learn about travel domains, specifically .travel? Medina: Although our project launched only a few months ago, it took two years to create. We realized there was a market demand for trips and new experiences with a personalized touch—trips à la carte. That’s when we learned about the future of the .travel domain in our sector and the expectations as a tourism company that we could have with .travel as our URL. Travel.Domains: How has your business evolved using .travel? Medina: The evolution has been very good. We try to explain to our business partners and customers who ask about the domain, what it is and the advantages of using it. In a world so globalized, for us to belong to the .travel community is a sign of professionalism. In fact, our confidence in the domain is so high that a few days ago we acquired another .travel domain for our next expansion project. Travel.Domains: How has .travel helped you gain and keep a competitive edge? Medina: Door to Door Travel & Tours is made up of Granadian professionals and entrepreneurs with more than two decades of experience in the tourism, hotel, catering, and events sectors. This knowledge allows us to differentiate ourselves from other online and local competitors. We believe that adopting a .travel domain is an excellent starting point because it’s a sign of quality and trust when people are looking online for a business, destination, or corporate event. Travel.Domains: Choosing the right brand and internet domain is the first step to success. How did you choose the domain name? Medina: Our founding partner wanted a business name with meaning. Thus, Door To Door Travel & Tours was born. To us, it means that we accompany and guide from door to door, open our doors, and invite visitors to experience the hospitality of the places we visit. We want travelers to feel at home, with very personal and exclusive treatment, and without compromising the environment and the needs of future generations. The doortodoor.travel domain perfectly matched the values and philosophy of our agency. We’re very happy to have the domain, and we have no doubt that it will be a fundamental pillar in the success of our project. Travel.Domains: How did .travel help position your business to your audience? Medina: As we mentioned earlier .travel allows us to position ourselves within a highly saturated market of .com, .es, .net, etc. as a quality company. At the same time, the consumer perceives it as a sign of trustworthiness. Travel.Domains: Would you recommend other travel businesses use .travel? Medina: Totally. Today it’s important to get established within the market with an offer of clear and differentiating value, but likewise, it is necessary to endorse this offer with stamps of quality and trust. In this sense, .travel gives us the very characteristics the digital customer values so much.